Competitive advantage for student athletes! At Fort Miami CrossFit, we offer strength and conditioning training programs specifically tailored for young athletes in middle or high school. The athletes who are the strongest, fastest and least prone to injury are typically those who go on to earn collegiate scholarships and play with major sporting organizations. This is ideal for those athletes who want to push ahead of the pack in today’s increasingly competitive youth sports programs. Alternatively, this is a perfect program for those athletes who maybe don’t enjoy being limited to traditional sports and want to try something new, such as Olympic weightlifting. Our non sport-specific program will move beyond the basics, improving each young athlete’s power, speed, stamina, agility, strength, balance, accuracy and cardiovascular endurance. In doing so we raise the athlete’s abilities across this broad mix of physical skills that provide a foundation for the athlete to continue to build sport-specific abilities on top of. Why is this important? We’re essentially building a “harder to kill” athlete. As they become both stronger and more prepared, young athletes reduce their risk of injury and can play longer and harder at the sports they love. Young athletes work with our knowledgeable coaches and have access to our athlete tracking system, providing analytics showing how the athlete progresses over time, as well as any areas that might need more work. 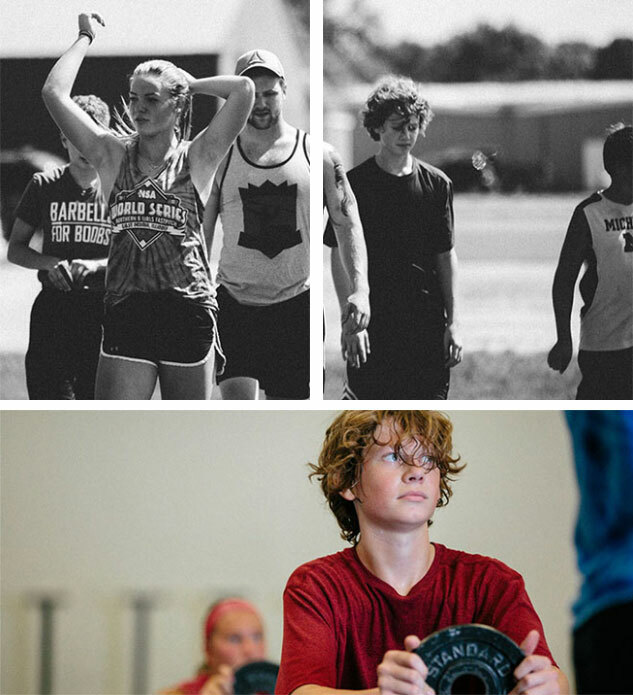 So if you’re looking for a serious program targeting serious athletes—a program that will give your child a competitive edge, while also building an all-around solid physical foundation for their general health and well-being—schedule an intro today. Space IS limited.